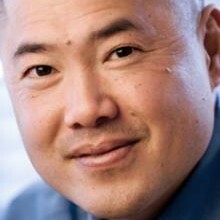 Bill is chairman of Maxthon, board member of Glyde and Scribd, and seed investor in Ark.com, ContextLogic, Schematic Labs, Sensr.net and StackMob, representing CRV as a partner in several funds. He is an angel investor in Tweetdeck, Tango, Voxer, Zoom.us and other fun startups out to change the world. Bill has served on the board of seven publicly listed companies he funded as startups, including one he founded. He is experienced in the earliest stages as founding CEO of iAsiaWorks (NASD: IAWK), chairman of IPinfusion (Tokyo: 4817) and founder of Tradebeam (NASD: CDCS). He holds a BSEE, with Honors, from University of Illinois and an a MBA from Harvard. Bill is an adjunct professor of innovation at Curtin University in Australia, an Olympic Ambassador for the IKA and co-creator of MaiTaiGlobal.org. He is an acknowledged kiteboarding addict and maintains a blog about the sport at Kiteboarding at http://www.kitevc.blogspot.com/. Legendary venture capitalist Bill Tai joined CRV in 2002. The founders of the conference are very authentic and these are people that want to change the world and make things better for entrepreneurs and help people and I think that’s a great thing. It’s a great conference and it brings together great content from really terrific speakers like we just had and then a network of really interesting entrepreneurs.